Chris Ives, Nottingham. Alex Lechner, Kuala Lumpur. We found ourselves scrambling along the slippery, vine-entangled slope, ducking under branches and contorting ourselves around fallen trees. The air was hot and thick with humidity, causing us to sweat after just a few minutes on the trail. As we walked, the noise of the busy highway slowly subsided and the sounds of the rainforest could be heard in the breaks in our conversation. We stopped to look up at a large dipterocarp tree of the Shorea genus. Its straight trunk made it desirable for timber, we were told—one of the reasons so little of this type of forest remained. For a green future in Kuala Lumpur, multiple actions need to be taken: from localized high-level policy frameworks, to harnessing residents’ love for nature. From a small scar in the bark flowed an aromatic, sticky sap. We selected a picnic spot: a section of the trail just wide enough to spread a mat, but steep enough that we had to be careful not to drop our fruit lest it tumble down the slope in to the water below. From our vantage point above the lake, we watched as the inhabitants of the jungle revealed themselves. A Bee-eater flew quickly into view and perched on a branch. A kingfisher darted from one bank across to the other. A water monitor lizard glided gracefully through the turquoise water to the great delight of the children. 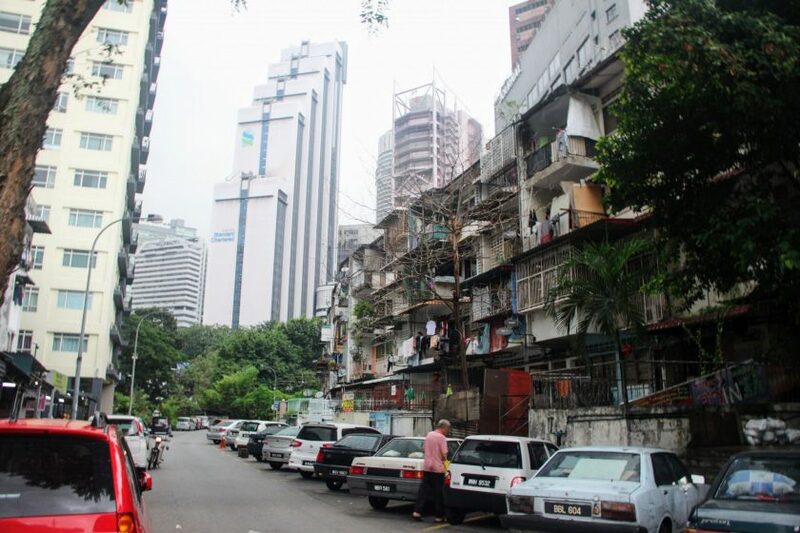 This was a side of Kuala Lumpur that few visitors to the city would experience. This artificial lake was created by diverting river flow around a new urban development of multi-storey apartments. It is within a piece of biodiverse, remnant rainforest. As we wandered back through the forest, we caught a glimpse of the imposing residential apartment blocks not more than a kilometre away, which had been constructed just in the past year. It was these apartment blocks that had necessitated the diversion of the creek, resulting in the formation of the artificial lake we had followed. When we finally left the dense canopy behind and entered the clearing, we looked out to the new “eco-village”—a gated settlement of generic bungalows and green lawns surrounded by razor wire. It had been rolled out some years prior, across land that once was covered completely by the same dense rainforest we had walked through. This picture of contrast represents the interface between the city of Kuala Lumpur and the landscape beyond. It raises the question: what does sustainability mean in this city? And what kind of future can be expected here? Asia is a hotspot for urban growth. In the coming decades, the population of Southeast Asia is expected to increase from 634 million in 2015 to a maximum of 804 million in 2065, and finally to decline to 769 million in 2100, based on 2015 UN modelling using a medium fertility estimate. Projections of urbanisation (based on 2014 UN modelling) suggest that by 2050, 65 percent of the population of Southeast Asia will be urban. Malaysia, in particular, is predicted to experience high rates of urbanisation, with 86 percent of the population projected to live within urban areas in the future. If urban sustainability is to be pursued on a global scale, progress in rapidly developing nations is going to be critical. Greater Kuala Lumpur (including Kuala Lumpur the federal territory and surrounding municipalities) is a city of contrasts. It is a city of immense diversity, where a Muslim mosque, a Hindu shrine, a Christian church, and a Buddhist temple can be found in the same place. Total population (both sexes combined) by Southeast Asian nations, annually for 1950-2100 (thousands). Modelling based on medium fertility variant, 2015 – 2100. Data from “United Nations, Department of Economic and Social Affairs, Population Division (2015). World Population Prospects: The 2015 Revision”. Annual Percentage of Population at Mid-Year Residing in Urban Areas. Singapore not plotted, as current population is 100% urban. Data from “Urban Areas by United Nations, Department of Economic and Social Affairs, Population Division (2014). World Urbanization Prospects: The 2014 Revision”. This cultural and ethnic diversity is reflected also in the diversity of urban forms. The centre of the city contains some of the most impressive sky scrapers in the world, notably the Petronas Towers and the KL Tower. There are high end shopping malls and luxury apartments. Construction is occurring all around the city, including high density residential areas and intermediate density, planned estates. In Kuala Lumpur, new train stations and highways are being constructed all across the city in a move to help transport the growing population, while, in the meantime, roads are clogged with ever-increasing numbers of cars. The traffic chaos during much of the day in central Kuala Lumpur is a hallmark of the city, as it is for many developing nations (see Jenn Baljko’s recent post on Dhaka). The city of Putrajaya is the new federal administrative centre of Malaysia and is located just outside Kuala Lumpur. Constructed over marshland and oil palm plantations, people planned Putrajaya as a garden city according to Ebenezer Howard’s principles; 38 percent of the area is designated as green space and it is the home of Malaysia’s largest botanical gardens. With all this varied and diverse development, the question remains: What kind of a future is greater Kuala Lumpur is likely to experience, and what place is nature likely to have in it. Kuala Lumpur is a city of great diversity, as seen by the many varied urban forms visible from the vantage point of the KL Tower. Malaysia is ambitiously pursuing future economic growth, with the Eleventh Malaysia Plan setting out a strategy for the country to be an “advanced nation” by 2020 through promoting “productivity and innovation”. Although one of the strategic thrusts of the plan is “pursuing green growth for sustainability and resilience”, there is a degree of scepticism amongst Malaysians as to the practical outworking of this plan. Greater KL’s current population of 7.2 million (2016) is set to increase to 10 million in 2020 – 2025 (according to Land Public Transport Commission (2013)), which will bring many more challenges related to green space availability and transport. Different forms of housing and levels of affluence sit alongside one another in Kuala Lumpur. During our recent time in Kuala Lumpur, our thinking wandered to the type of connections with nature that people in the city have and how these are likely to change over time. These thoughts have emerged from conversations with academics and community leaders, but are still loosely formed. There has been little research on perceptions and behaviours towards urban nature in Malaysia. Some research has shown that distance to a nearby green space is very important in influencing frequency of use, along with ethnicity. A recent study also highlighted that Malaysian residents who grew up in rural contexts were much more likely to engage in nature-based activities as children than those whose childhoods were in an urban context. Experience of nature by people living in cities has been shown to be relatively uncommon in the U.K. Considering the increased rural-urban migration in Malaysia, what could this pattern mean for people’s experience of the natural world more generally? Might people become more disconnected from nature just as has happened in the West, or will people actively seek out nature experiences? And how might these experiences of urban nature influence their attitudes and behaviours towards the environment? In Kuala Lumpur, a great deal of the new housing stock is in the form of master-planned, gated communities. The expansion of this development is threatening existing forest remnants, like the one we walked through for our picnic. Yet ironically, these are frequently sold as “eco” housing, or “green” communities because of the emphasis placed on the provision of communal green spaces within the estate. 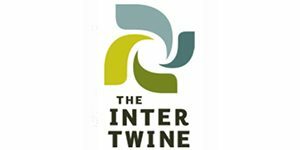 It appears that the environmental image is a powerful one in marketing terms, presumably because of the notions of freedom, space, and healthy living that it conjures. However, it is the wealthy and affluent residents of the city that are attracted to this type of housing. These are the same people who statistically consume more energy and resources than those in lower socio-economic classes. In contrast, the people who are moving from the countryside to the city typically reside in higher density areas, disconnected from nature experiences, yet their ecological footprints are likely to be much lower. A move to the city is considered a move towards financial independence; concrete and “development” are equated with progress. These dual narratives are a mere snapshot of the complexity of the nature of Kuala Lumpur. So what of the future of the city? New medium-density “eco” development in the outskirts of Greater Kuala Lumpur in Semenyih. Malaysia is at a crossroads. With strong economic prospects and rapid urban expansion, it is clear that decisions made in the coming years will shape the social and ecological future of the city greatly. 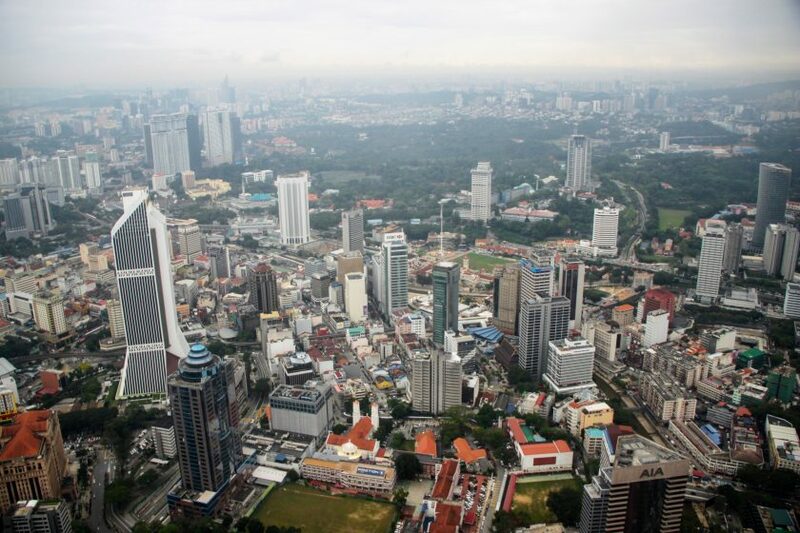 Moreover, global connectivity between urban activities and changes in ecosystems elsewhere as a function of trade and consumption means that Kuala Lumpur’s development will impact the rest of the world. For a green future in Kuala Lumpur, multiple actions need to be taken. First, the high-level policy frameworks that promote “green growth”, such as the Eleventh Malaysia Plan, need to be operationalised at finer scales. Tangible strategies for curbing expansion of housing into remnant forest and promoting more green infrastructure in the city will be crucial. Second, the love for nature that many residents feel needs to be mobilised in a way that can shape the future of the city. Particularly for those who engage in nature-based activities, translating this passion into decision-making for parks and reserves will help to promote a sense of public ownership of these features. 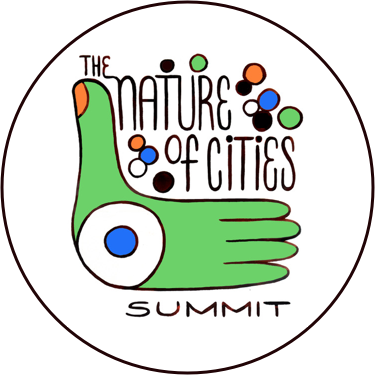 Finally, greater opportunities for residents and visitors to engage with urban nature will help to embed nature experiences in the culture of the city. Designing spaces that are easily accessible, yet provide mystery and opportunities for exploration, may help here. 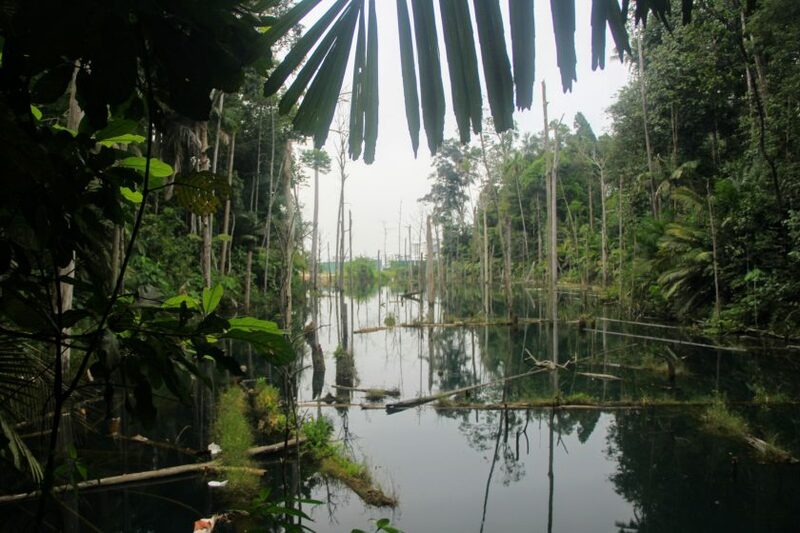 Malaysia is a country of immense biocultural diversity. We hope that this biocultural diversity will also be reflected in the country’s cities of the future. 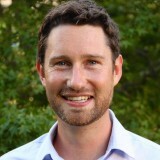 Dr. Alex Lechner is a landscape ecologist and Assistant Professor at the School of Environmental and Geographical Sciences at the University of Nottingham, Malaysia Campus. The disconnect between nature and people will continue to widen as people spend more time indoors. For example, the US EPA estimate that people spend ~90% of their time indoors. Re-connecting people to nature is critical to help develop and enrich the respect and demand for natural, green spaces in cities or in the outer regions.